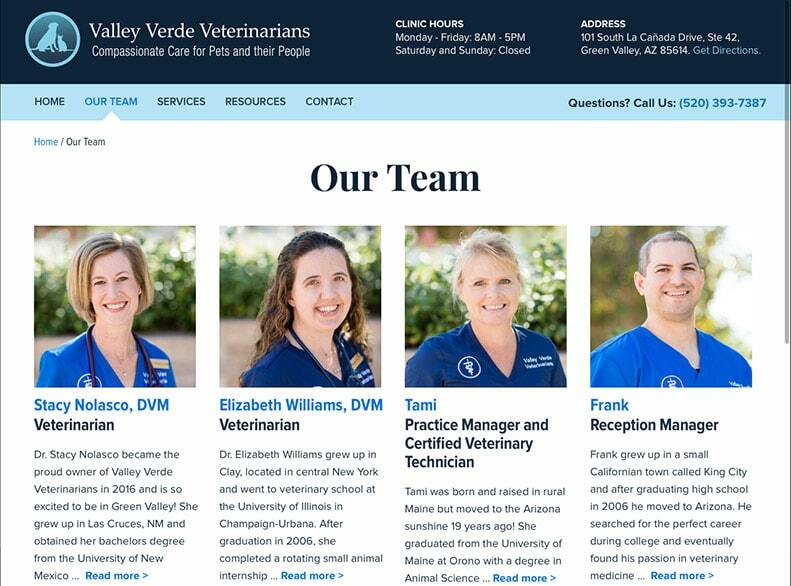 Valley Verde Veterinarians, owned by Drs. 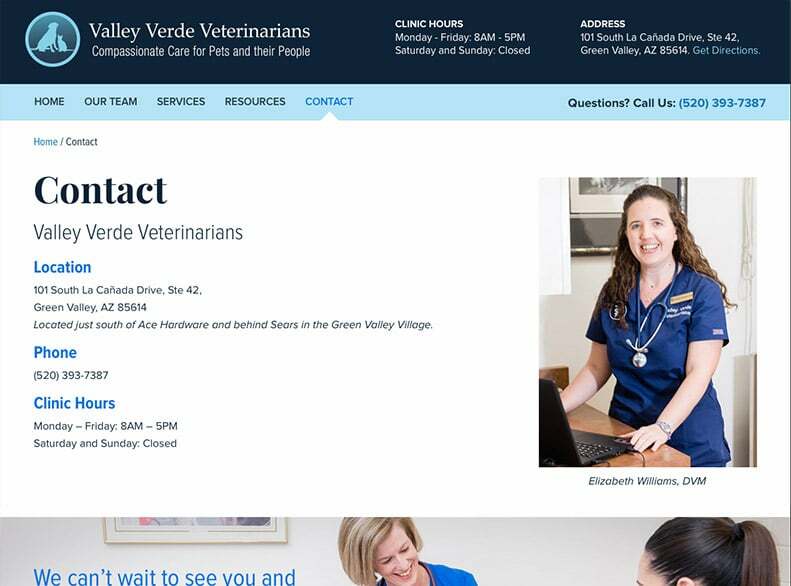 John and Stacy Nolasco, is a small animal practice in Green Valley, Arizona. Since the business started six years ago, satisfied patients have provided consistent word-of-mouth referrals. The Nolascos purchased the practice in 2016 and decided on a more active marketing strategy with Bourke Design. We worked together to define the ideal look and feel of a new company logo and then focused on building a modern and impactful website. 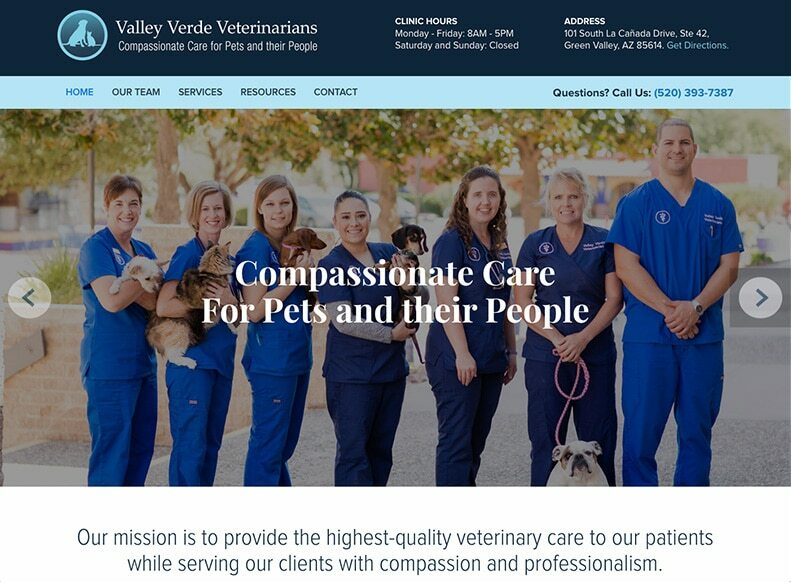 The new valleyverdevets.com helps the practice gain additional clients and provides helpful information to their existing clients. 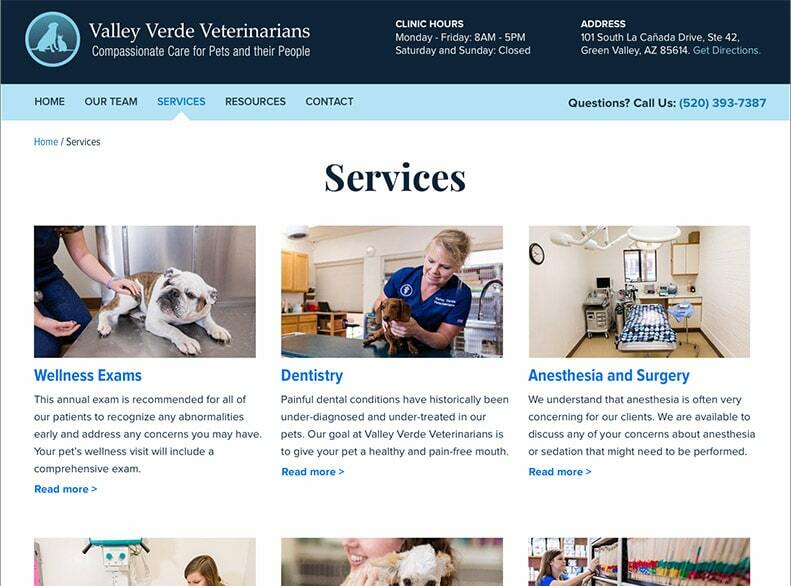 The pages showcase their veterinary services, the expertise of the doctors and staff, and the premiere quality of care provided to their patients.